The Hunter 440 Deck Salon is the culmination of Hunter Marine’s R&D into the ideal performance cruising yacht. It includes features often seen in Proven long range cruising yachts where performance, comfort and safety are the focus. She is a beamy vessel with a fine bow entry and a broad stern that equates to increased interior living space and greater load carrying ability. 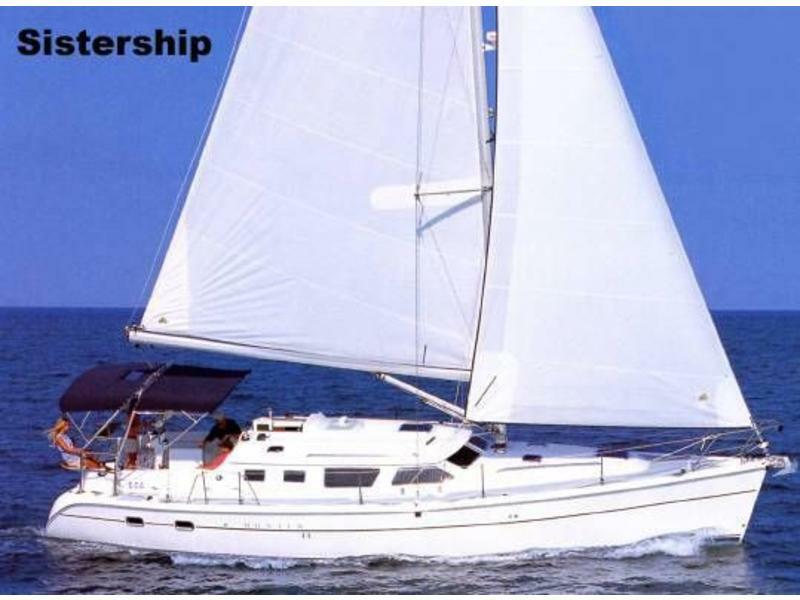 Easy sail handling, with an emphasis on the ability to single hand the vessel make her an ideal choice for cruising with limited crew. While her excellent performance on all points of sail make her a fast passage-maker, a fun boat to sail, and a worthy competitor on the race course. Her luxurious interior includes durable Leatherette seating, fine joinery, and attention to details such as upgraded marine hardware, low wattage lighting, and exceptional ventilation. This is a rare opportunity to own a “LIKE NEW” excellent performance cruiser at a substantial savings off her replacement cost. Call the listing broker today.